I’ve spent the last couple days walking the exhibition halls of MWC Shanghai. 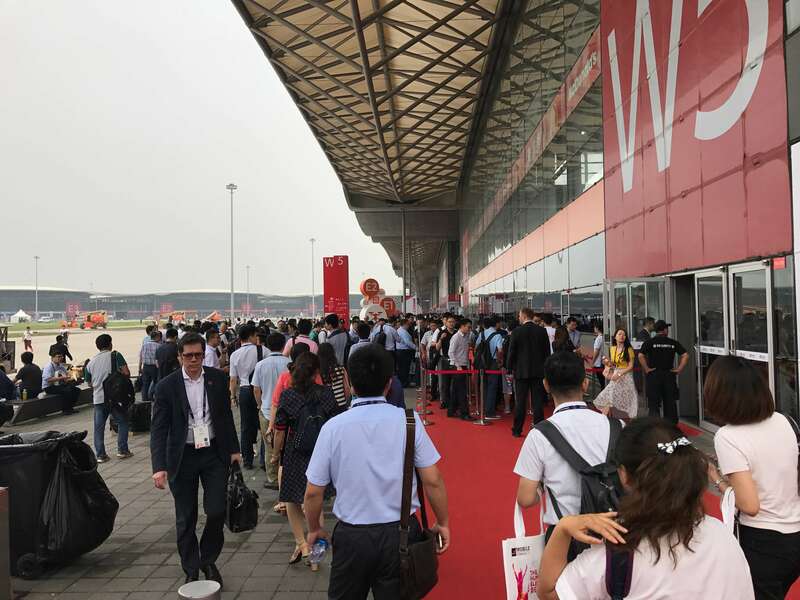 The Shanghai New International Expo Centre (SNIEC) is large, but smaller than the MWC exhibit space in Barcelona or the set of exhibit halls in Las Vegas for CES. (SNIEC is not even the biggest exhibition space in Shanghai!) Further, MWC here still only took up half the exhibition space, but there was plenty to see. And, I’m less exhausted than after CES or MWC in Barcelona! If I had to pick one theme from the exhibition halls, it would be 5G. It seemed like half the booths had 5G displayed somewhere in their signage. The cloud was the other concept that seemed to be everywhere. While neither was surprising, it was interesting to see halfway around the world. In truth, it feels like 5G is much farther along here than it is back in the States. I was also surprised to see how many phone vendors are here that I’d never heard of before such as Lephone and Gionee. I stopped by their booths with XPRT Spotlight information and hope they will send in some of their devices for inclusion in the future. One thing I found of note was how much technology in general and IoT in particular is going to be everywhere. There was an interesting exhibit showing how stores of the future might operate. I was able to “buy” items without traditionally checking out. (I got a free water and some cookies out of the experience.) I just placed the items in a location on the checkout counter, which read their NFC labels and displayed them on the checkout screen. It seemed sort of like my understanding of the experiments that Amazon has been doing with brick-and-mortar grocery stores (prior to their purchase of Whole Foods). The whole experience felt a bit odd and still unpolished, but I’m sure it will improve and I’ll get used to it. The next generation will find it not odd, but normal. There were exhibits with groups of children playing with creative technologies from handheld 3D printers to simplified programming languages. They will be the generation after digital natives, maybe the digital creatives? What impact will they have? The future is both exciting and daunting! I came away from the conference thinking about how the XPRTs can help folks choose amongst the myriad devices and technologies that are just around the corner. What would you most like to see the XPRTs tackle in the next six months to a year? 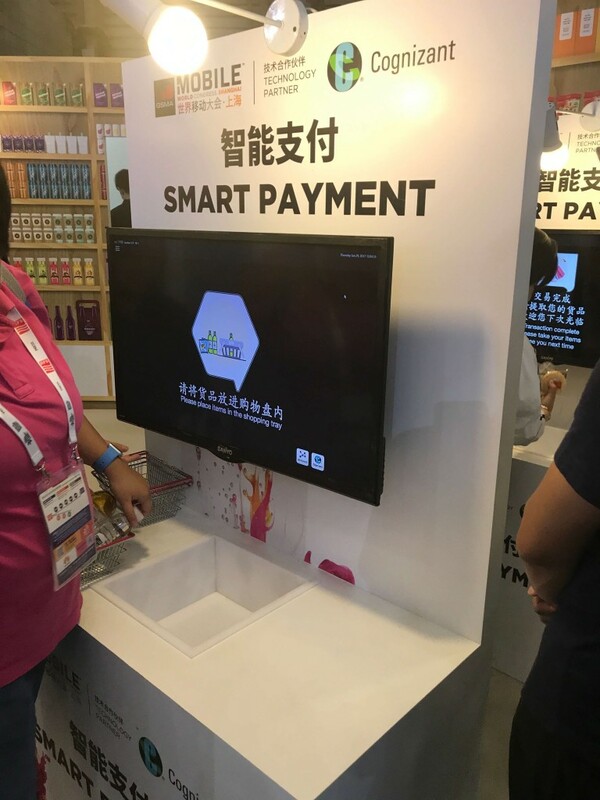 Posted in 5G, AI, computer vision, Education, Future of performance evaluation, Internet of things, IoT, Mobile World Congress, Mobile World Congress, Trade Shows | Bookmark the permalink. Follow comments with the RSS feed for this post.Post a Comment or leave a trackback: Trackback URL.